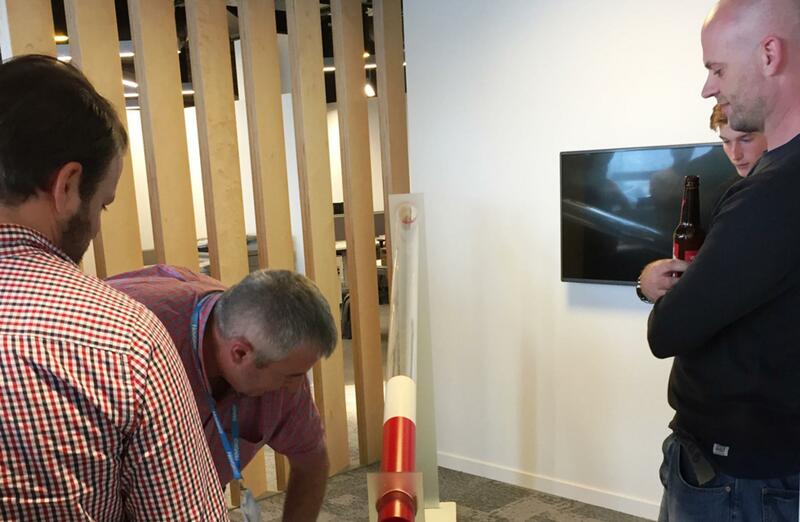 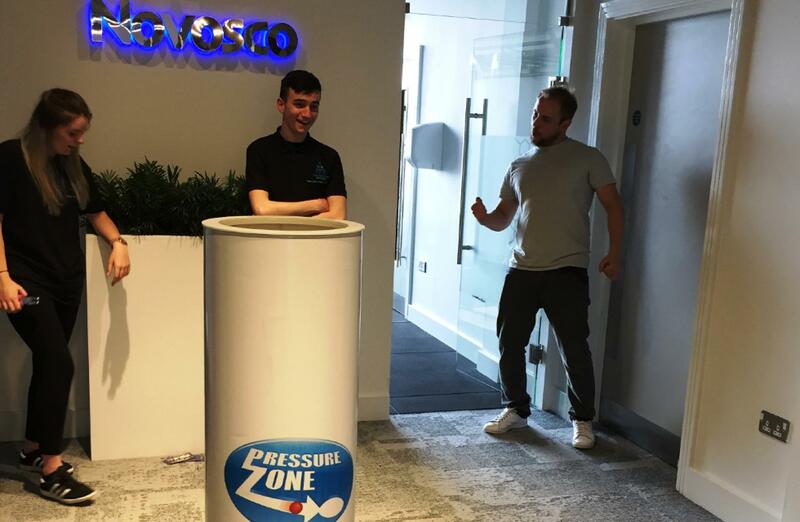 As the team from Novosco arrived at their office on the morning of Thursday 29th June, they quickly realised something was different... our 3m high Pressure Zone arena had been erected in their office overnight! 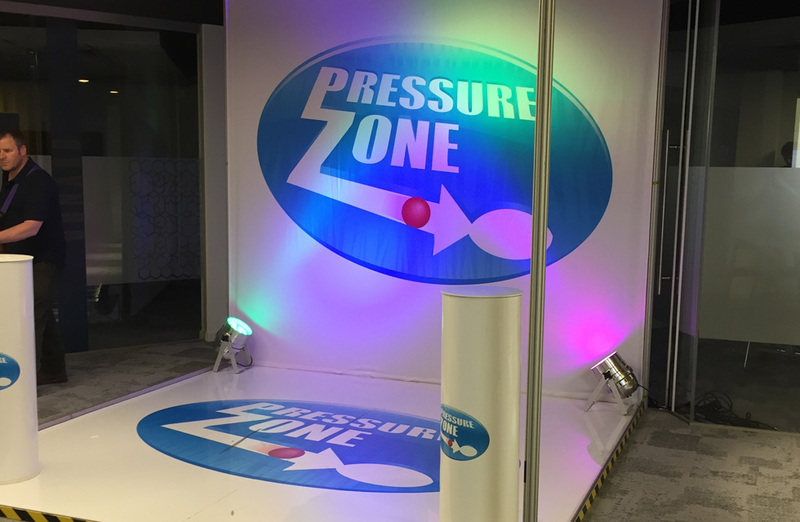 The guests had no idea we were coming and no idea what the mysterious ‘Pressure Zone’ was. 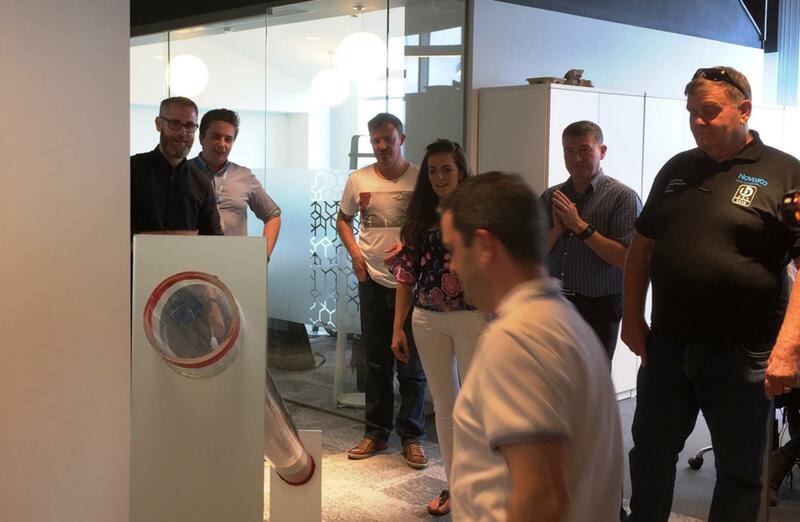 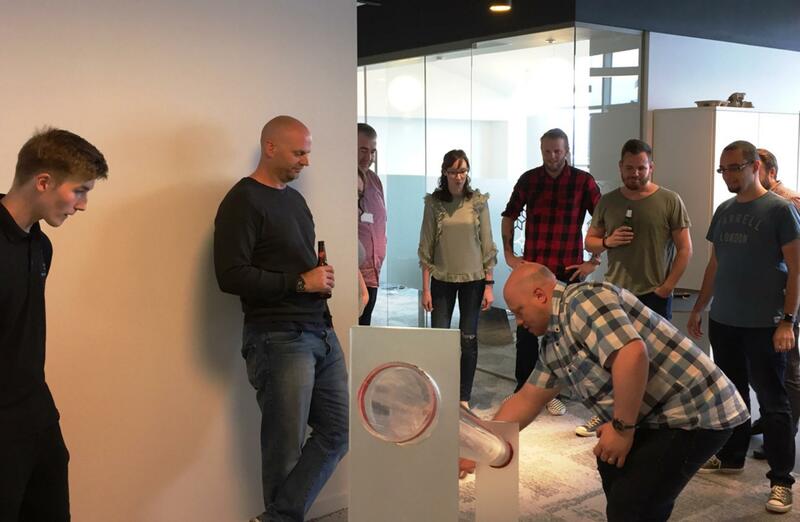 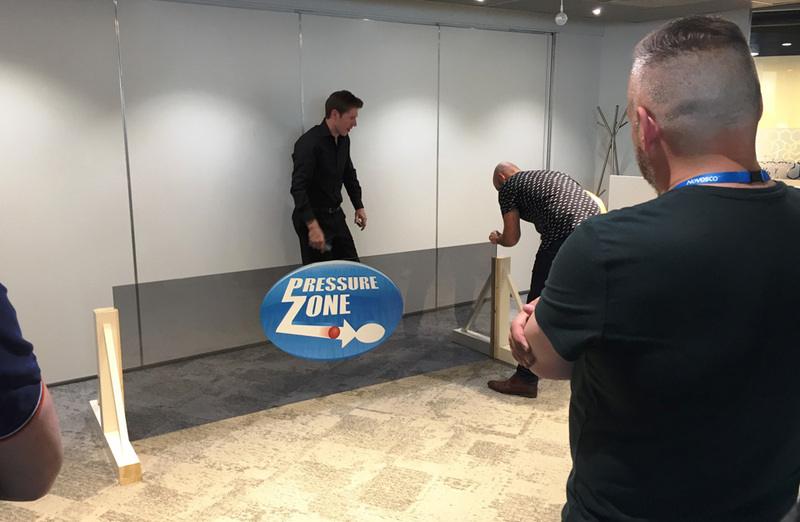 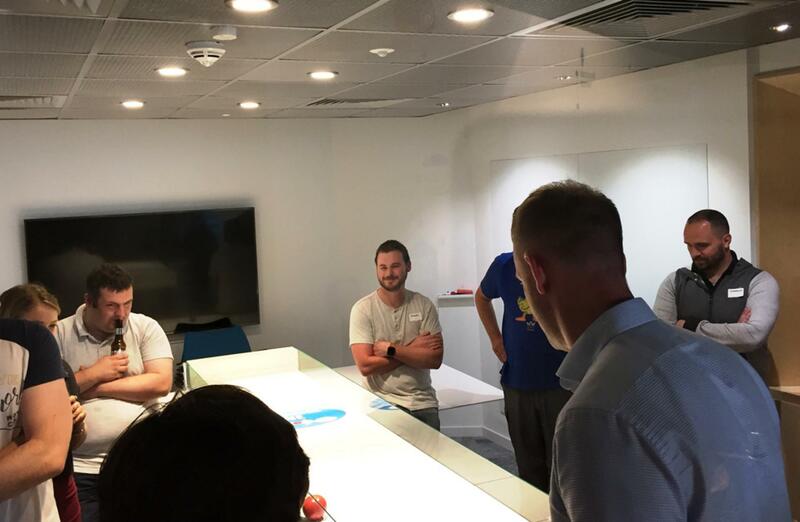 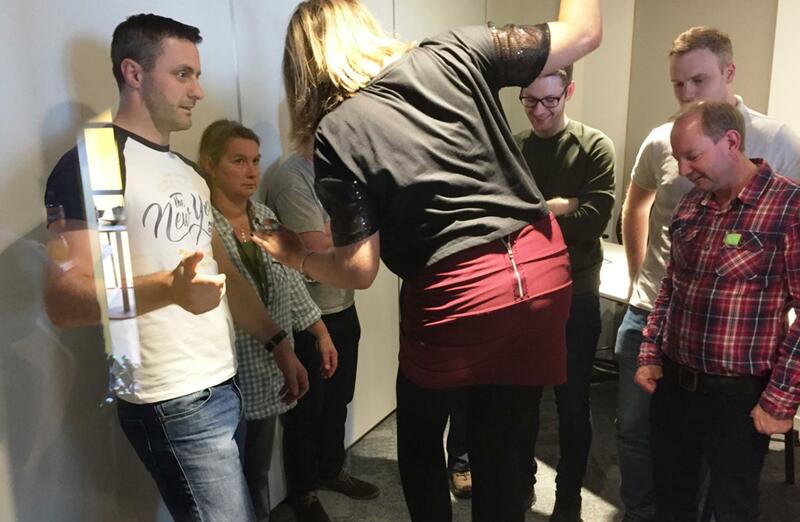 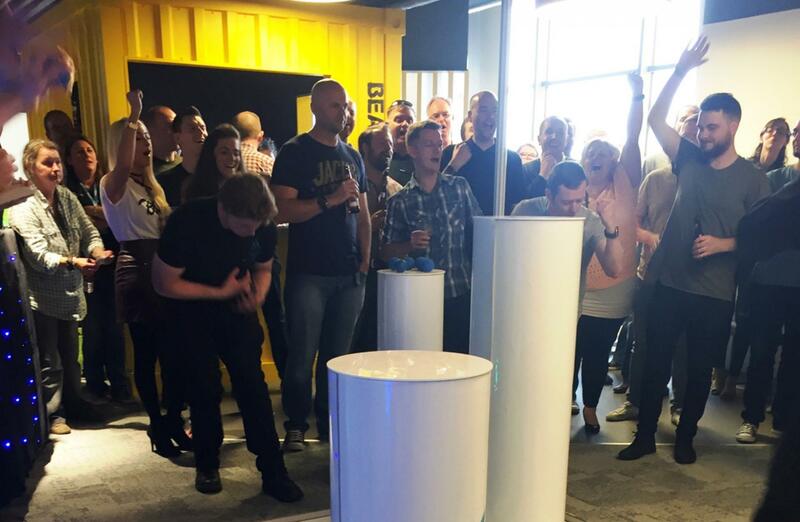 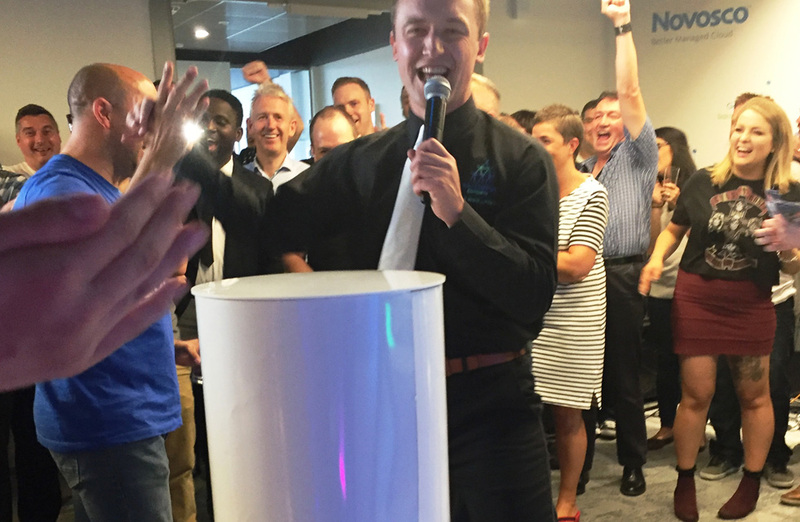 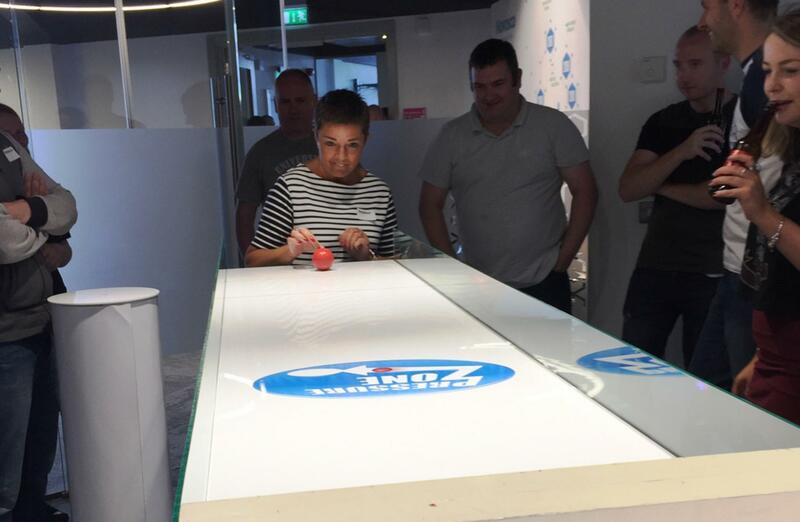 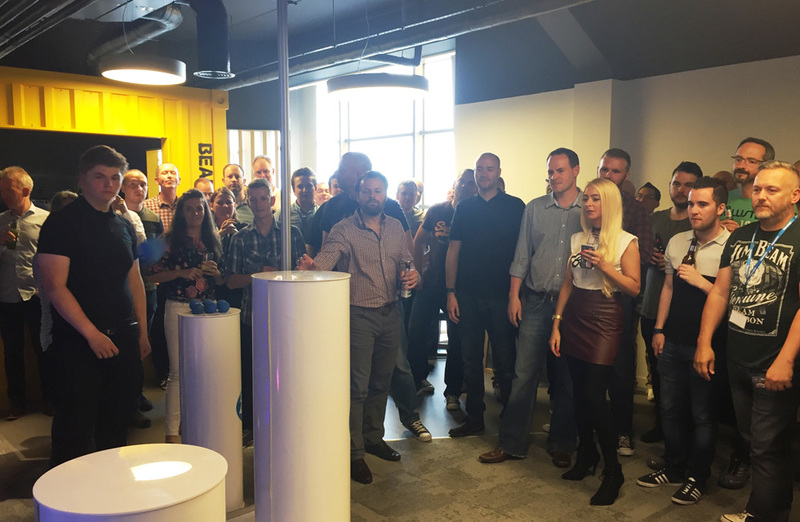 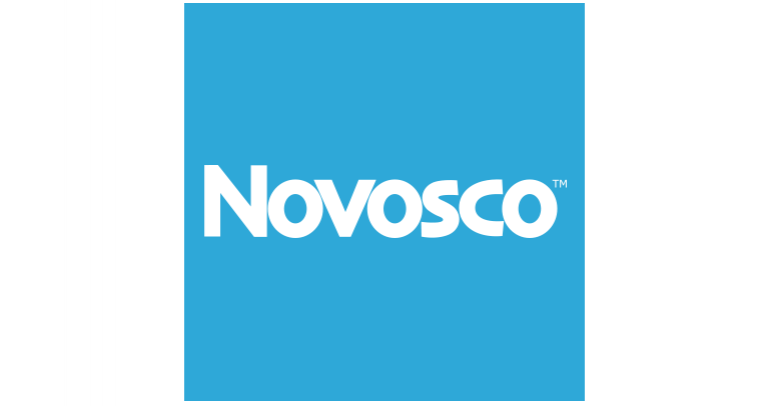 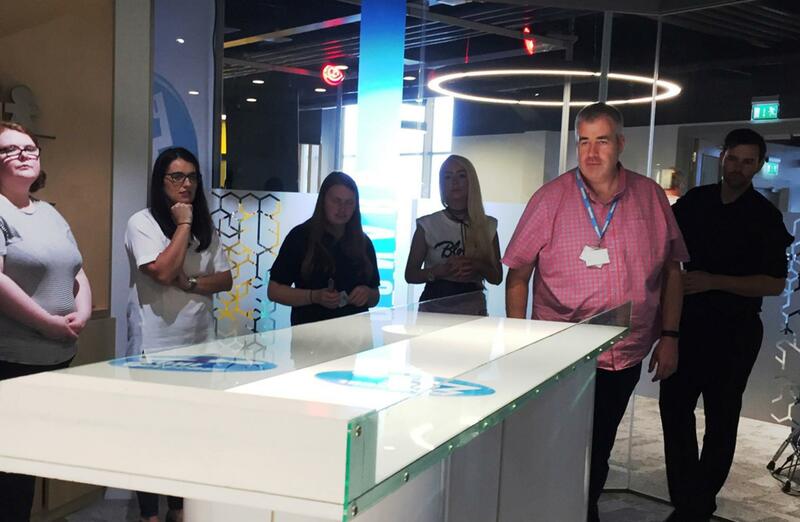 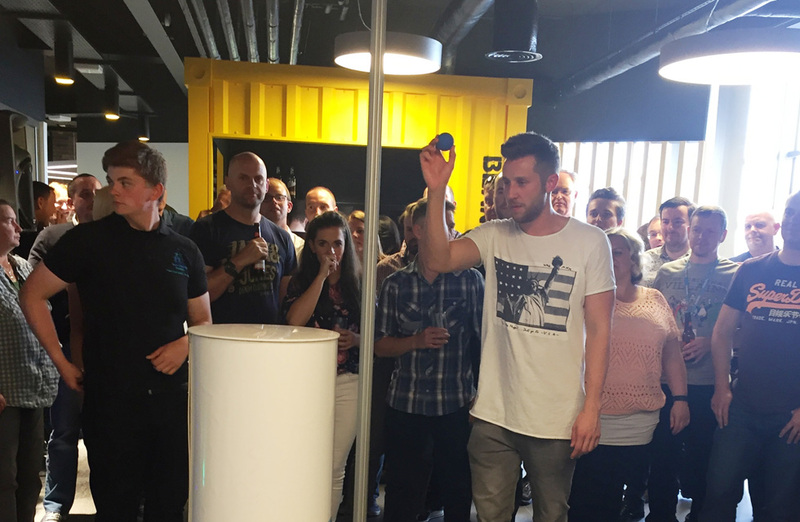 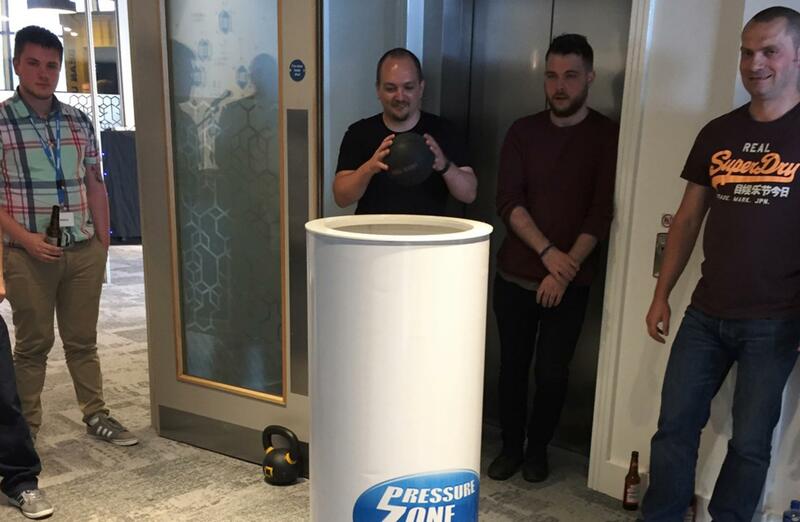 As their whole team meeting came to an end, the team at Novosco was put out of their misery as our very own Pressure Zone host’s jumped into action and filled the room with energy, bringing all the guests together for their first challenge! 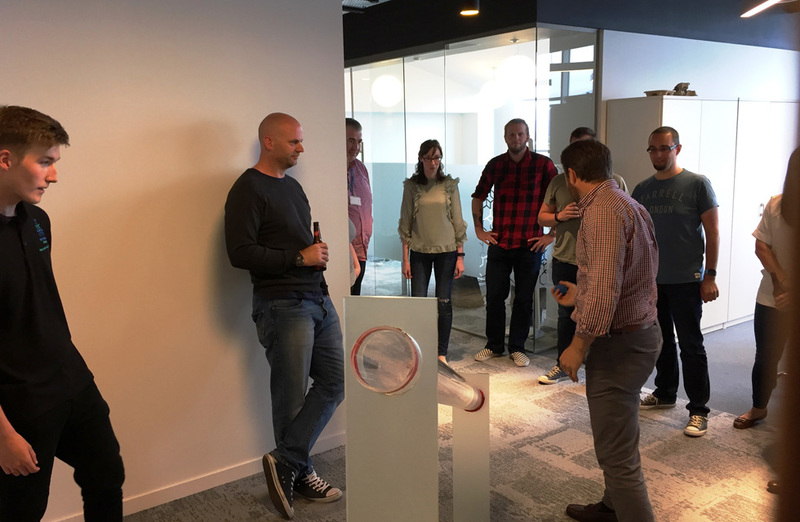 The challenges kicked off with “Flop It” a game which requires skill, accuracy and a lot of patience; this had all 12 teams battling it out for their first £100. 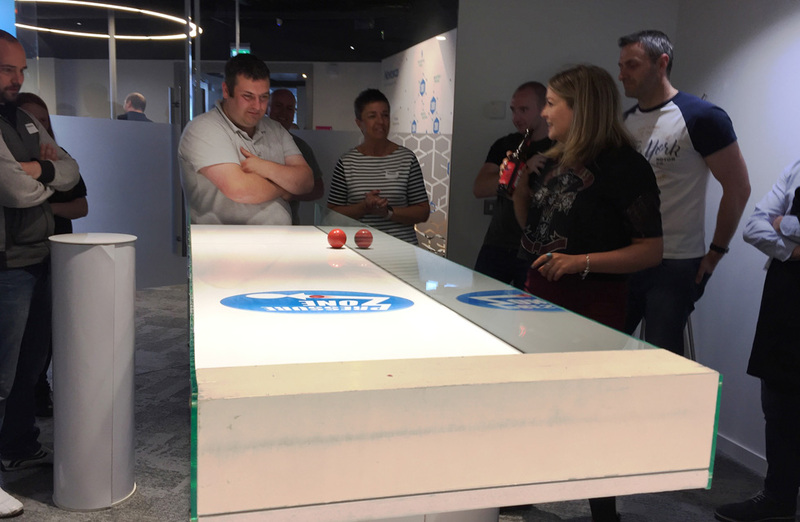 The teams stepped up to face the challenge one by one and took their shot, starting as they meant to go on and fighting to win! 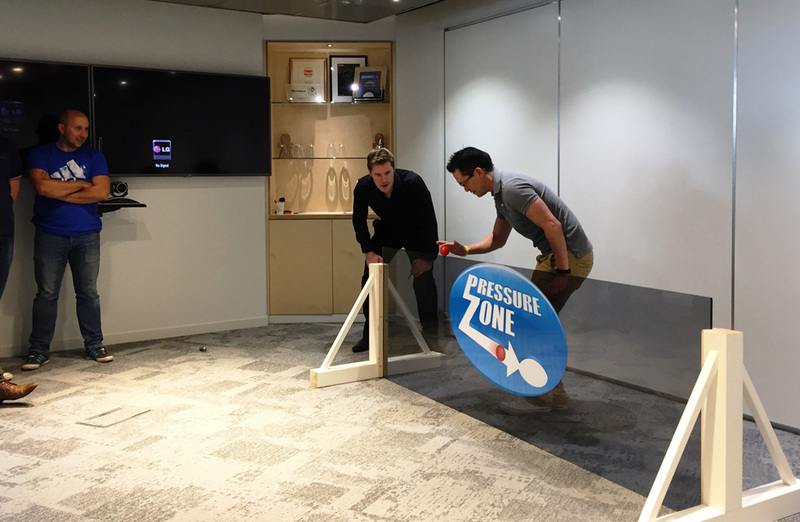 Throughout the first challenge many lives were lost and little money was gained and each team began to feel the pressure of The Pressure Zone. 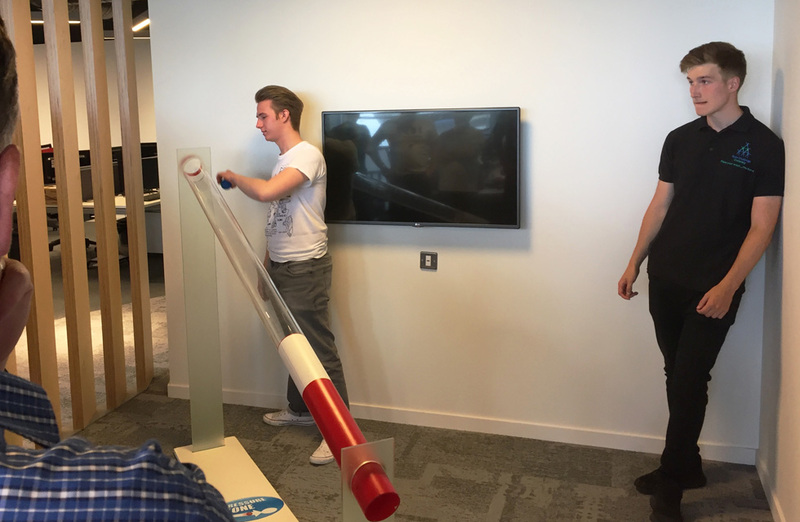 The teams then split into their first rotations which saw teams take on Hurdle, Bounce In, Tier Drop, Descent, Step Up, Index Landing Strip and Hole in One. 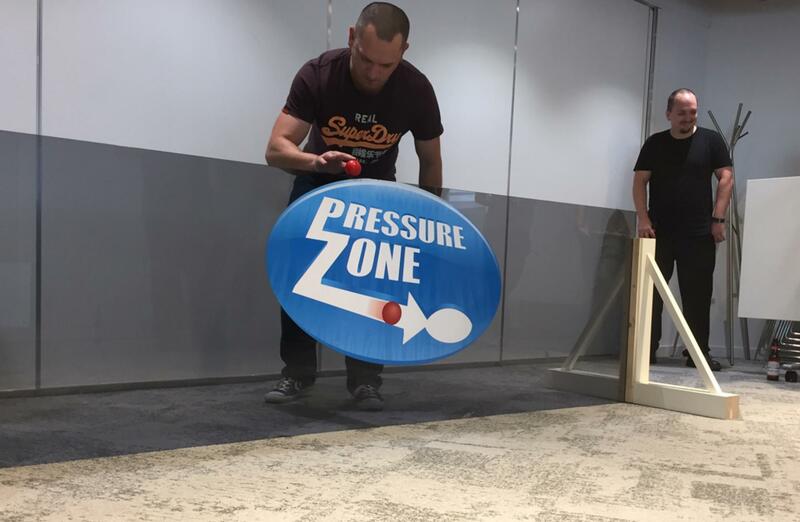 All teams most definitely were feeling the pressure as the competitive spirit took over and they they battled to keep their lives and earn as much money as possible. 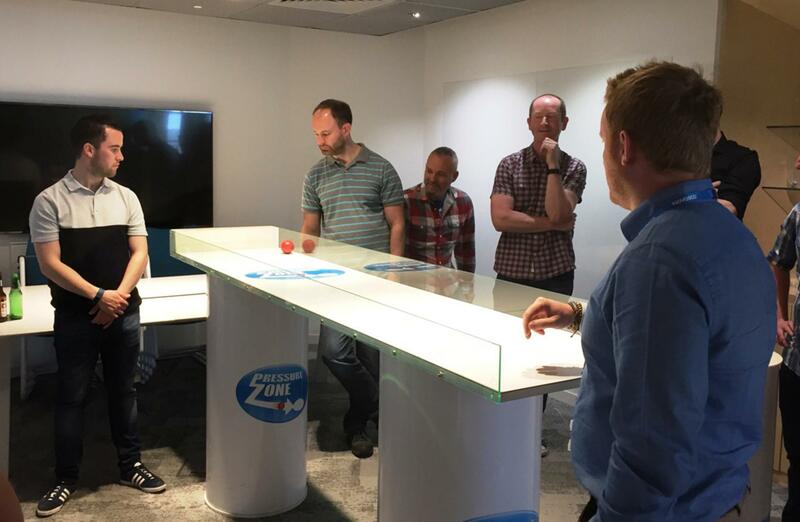 The teams fought their way through the challenges and confidence in the teams took a hit when it became clear to see that tasks which seem very straightforward aren’t, in fact, as easy as they seem once the pressure takes over! 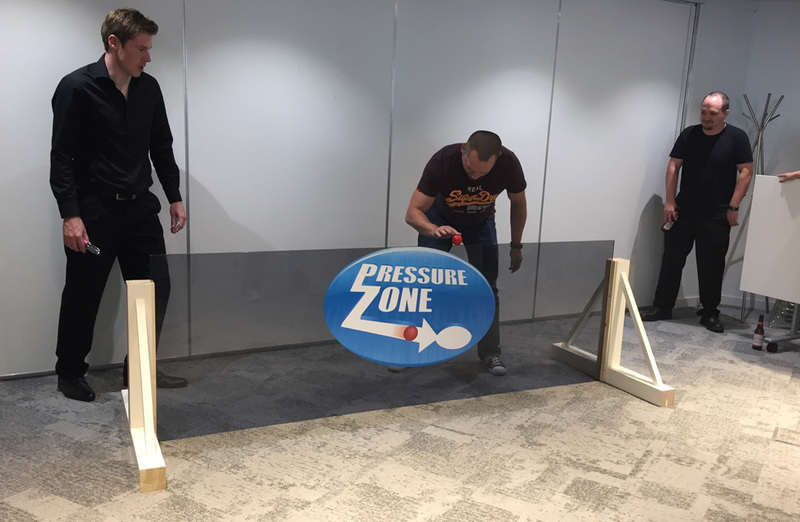 As team members began to buckle under pressure and tensions heightened, laughing fits erupted throughout the room as the teams began to let their hair down and face the challenges head on, whilst, of course, laughing at their team mates along the way! 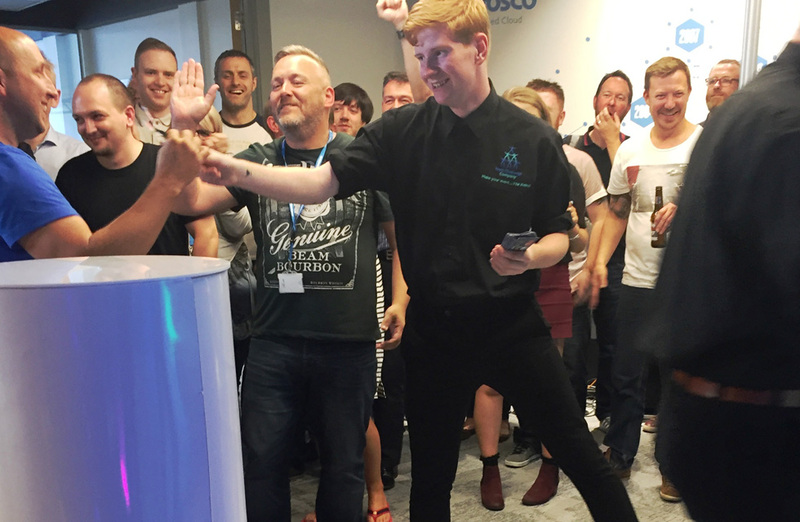 As the games came to an end and the teams had put in their all, they were left in suspense as the final count took place before revealing the winners! 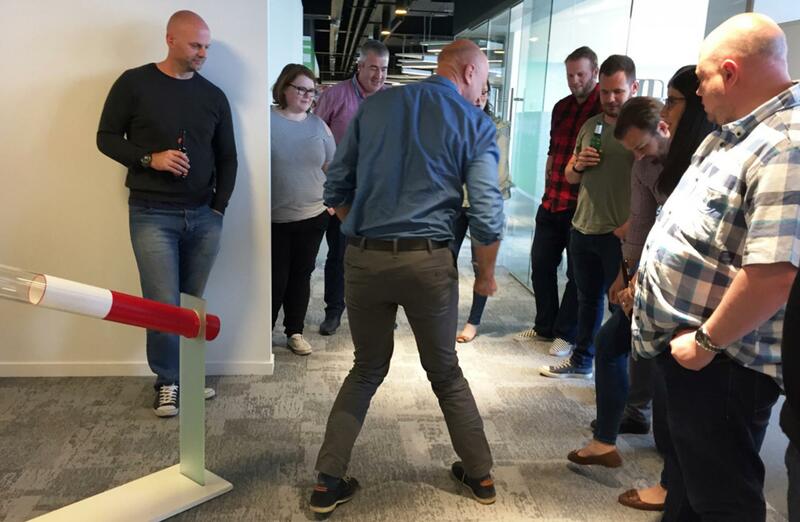 Had the teams done enough? 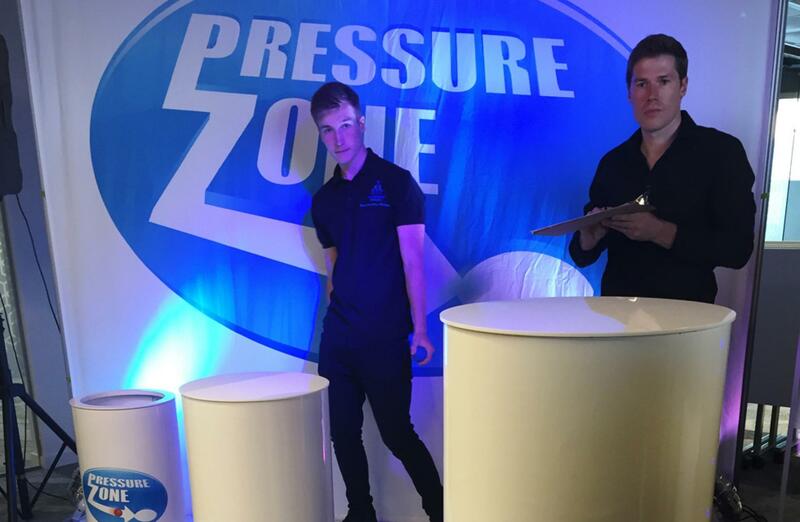 Who had cracked under the pressure and which team would leave the Pressure Zone victorious? 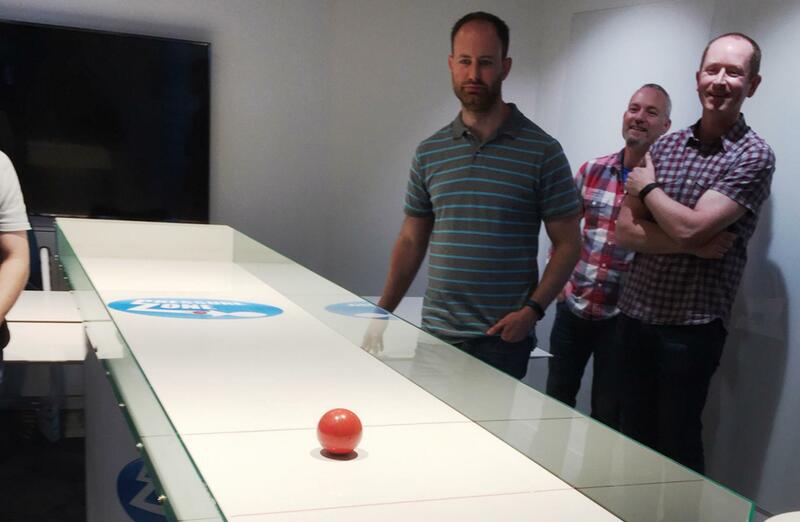 Placing last, and with only the wooden spoon to show for their efforts (along with a dent in their egos), was Team 3. 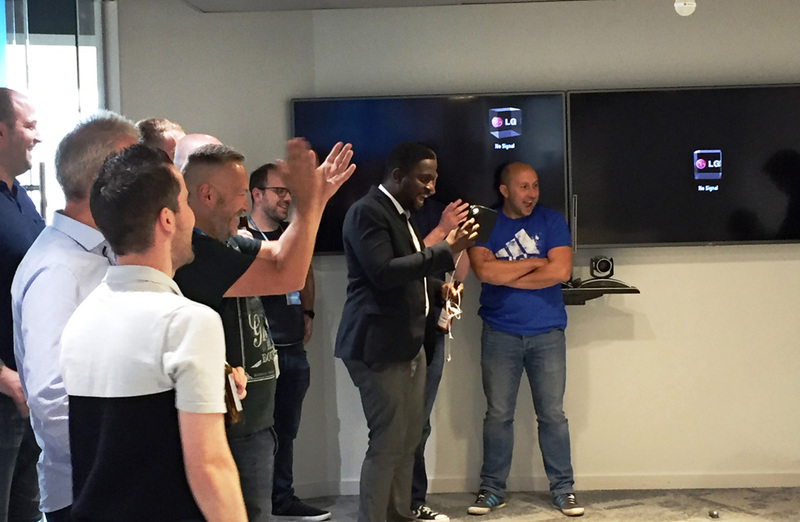 Finally, with the world famous Team Challenge Company Trophy and, of course, the ultimate bragging rights was Team 7! 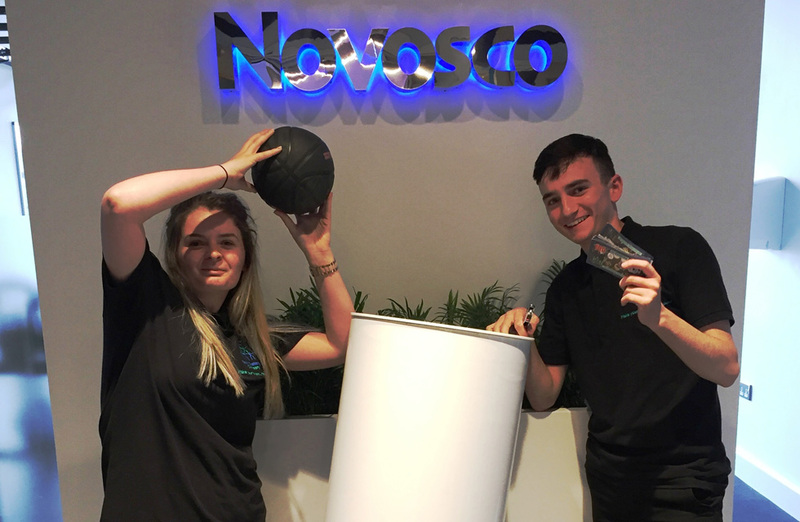 All in all, it was a fantastic day with the team at Novosco and we would like to say massive thanks on behalf of everyone at Team Challenge Company to Dom, Cathy and Susan for making the day happen! 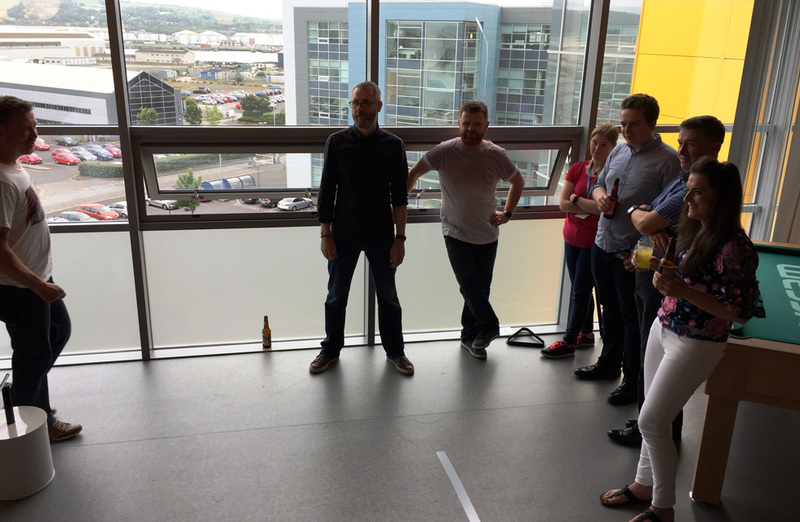 Also huge thanks to all the teams for their efforts and for being such great sports! 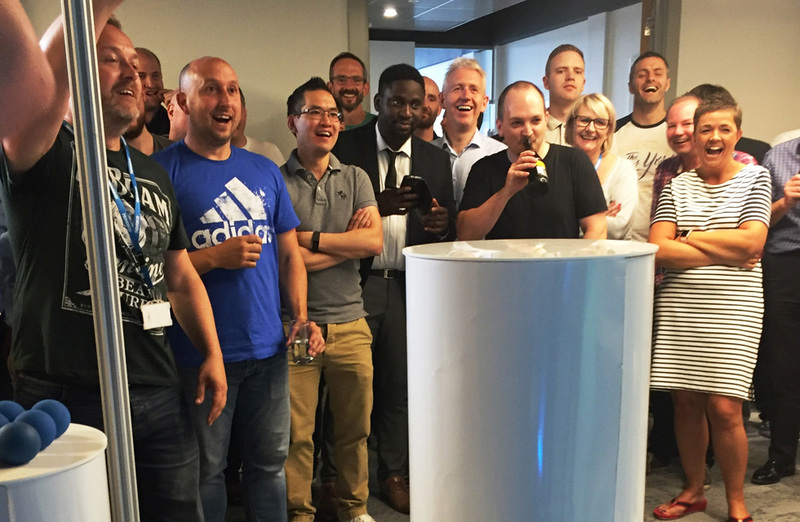 We had a great time working with you all and look forward to doing so again!